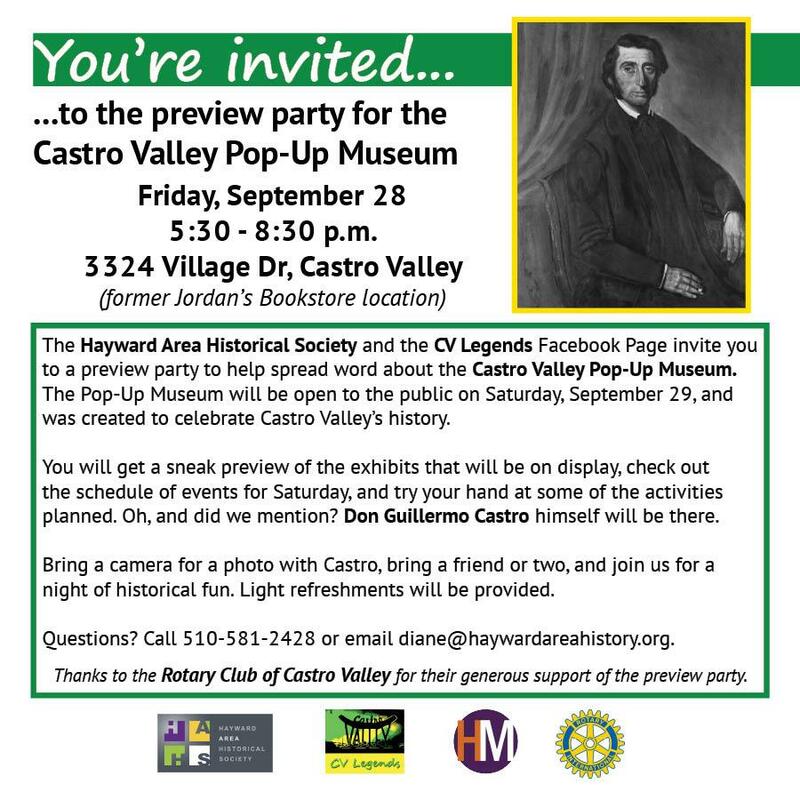 The Hayward Area Historical Society and the CV Legends Facebook Page invite you to a preview party to help spread word about the Castro Valley Pop-Up Museum. The Pop-Up Museum will be open to the public on Saturday, September 29, and was created to celebrate Castro Valley’s history. planned. Oh, and did we mention? Don Guillermo Castro himself will be there. Bring a camera for a photo with Castro, bring a friend or two, and join us for a night of historical fun. Light refreshments will be provided. Thanks to the Rotary Club of Castro Valley for their generous support of the preview party.